How to be free from fear of dreadful dreams turning into reality? Mystics see this world as a dream, and ignorant ones keep interpreting the dreams that they see – what an irony! 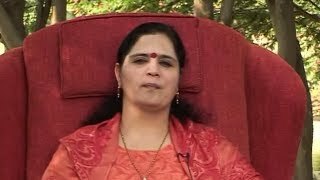 Sadgurudev Anandmurti Gurumaa guides the questioner to be free of fear arising out of the dreams and their apparent connection with the reality of dreamer’s life. Her guidance brings to light the practices like mantra japa, yoga nidra and more to be pursued. Q. It’s true that dreams are the web of thoughts - the present and the past life thoughts - but my friend sees certain dreams which do come true in a way. The voice that he hears and what that voice speaks, come true. It creates terror of destruction in future because the dreams are pessimistic and indicate some tragedy of life and family. What should be done in order to wash off this fear engraved in mind? Why is this happening? Kindly tell a way to get rid of it. Explore the video to know the answer given by the master in response to the question.